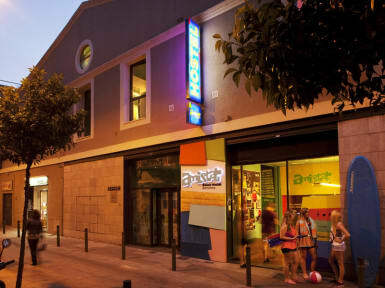 This hostel was one of the best hostels in Barcelona! And the breakfast girl cassie was amazing!!! Super friendly. I'm coming back and hope I meet her again! Only give you a sheet in the evening when the quilt, I rented two blankets to feel warm. The kitchen is great! Service is good, but I still want to criticize their bed, especially little, fluctuation bed spacing is very small, always bumps into my head, take a shower to downstairs. Cleanliness has to be improved, but the staff are friendly and helpful, the common area was awesome with DJ area and free pasta. They offer free Spanish class and games which were awesome place to meet new friends.